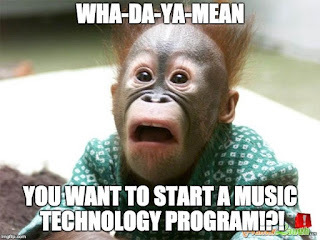 Since transitioning to the world of music technology (how I got here is another long story), I have enthusiastically advocated for the creation and growth of music technology programs in schools. When I begin to have conversations with band, orchestra or chorus colleagues about starting a music technology program at their school, I am usually met with skepticism and a shadow of fear that crosses their faces. Initially I was a bit confused about where this skepticism and fear was coming from, but then it all came back to me. I am sure that someone has created some sort of Myers-Briggs personality test for musicians, but if they haven’t someone should. Simply stated, band and orchestra kids are different (as are the directors). Perhaps it’s not a personality thing. Perhaps students just have different preferences and our influence over those preferences is ultimately limited. If you like chocolate ice cream, but only strawberry is available, the absence of chocolate isn’t going to create a preference for strawberry. Fundamentally, the students attracted to band are attracted to band and the students attracted to orchestra are attracted to orchestra. If a student is interested in band, but the band director doesn’t sell them on joining for whatever reason, that student typically doesn’t join the orchestra instead. They simply don’t join the band. I have had some firsthand experience of this when I was teaching middle school band. When I first arrived at this school the orchestra enrollment was larger than the band enrollment. One year the orchestra director had literally recruited more students into the 6th grade orchestra than she could fit into the room. Through some process it was determined that 12 students would not be able to join the orchestra, but they could join band instead. Of those 12 students, only 2 decided to join the band. Both of those students dropped band after the first semester (and they were the only ones who dropped). Just to drive my point home, the following years saw increased enrollment in the band and chorus programs at this school with no decline in enrollment with the orchestra. Strengthening enrollment in one area of the music department did not weaken enrollment in the other. What happened was an overall increase in the percentage of students at our school who were taking music classes. 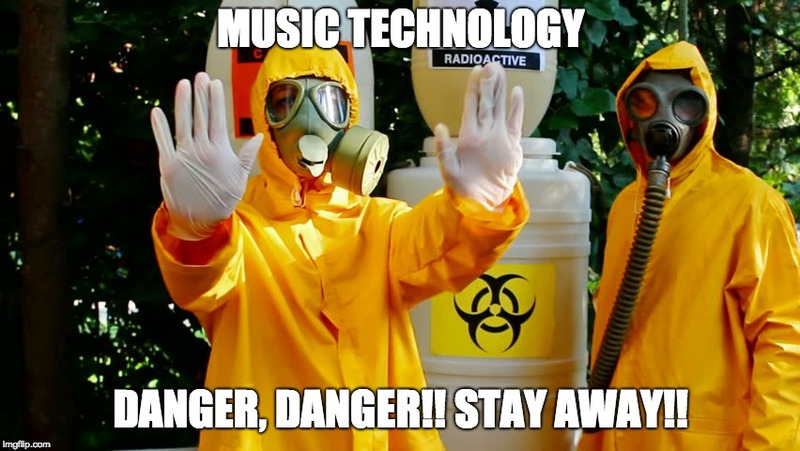 Now back to music technology. 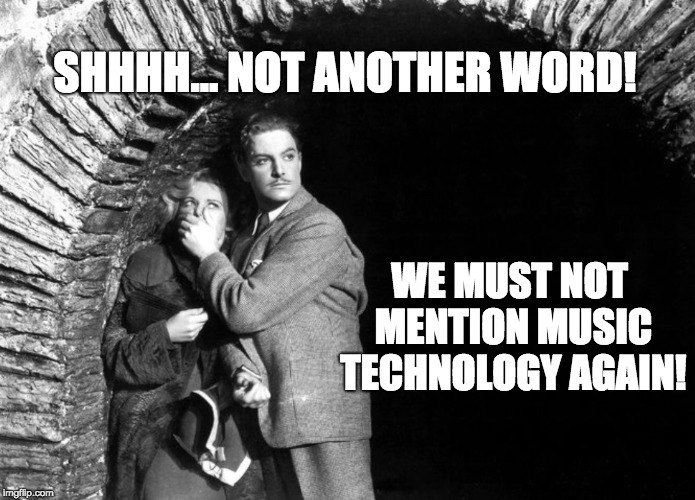 Why are so many music teachers fearful that adding a music technology program at their school will have a detrimental effect on their programs and enrollment? 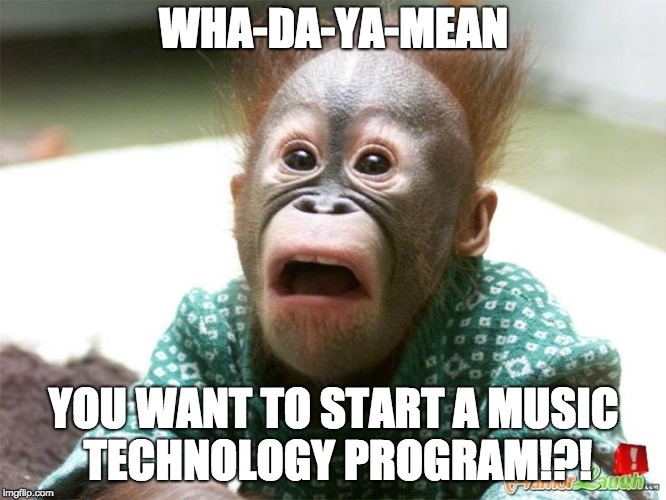 At the school where I teach we are reaching the end of the second year of offering music technology classes for all grade levels. Enrollment in our ensemble classes continues to grow (orchestra got a bigger room). What has happened is we now have more students participating in music classes at our school than ever before. The students that I have in my music technology classes have no interest in learning how to play a trumpet or cello, but they love creating music. I have a few students (less than 10%) in my music tech classes who are also in an ensemble class. None of them has ever expressed an interest in dropping out of chorus or band to focus on music tech. 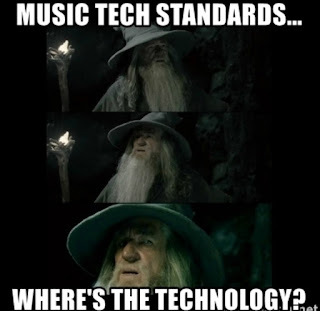 If anything, being in the music tech class has helped them in their ensemble class because they are recording themselves playing their instruments and using the music tech DAW to add some background parts. How cool is that!?! 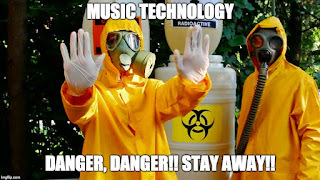 So, when someone proposes the idea of starting a music technology program at your school, fight that instinctive, self-protection urge to resist! Don’t be scared! If your band, chorus and orchestra programs are healthy and strong, they will continue to flourish. Adding music technology to your curriculum will only result in more students learning how to create, participate in, and perform music. In the process you may find that you have discovered a new built-in resource for your music program that has great potential for collaboration and enhancement of your overall music curriculum.